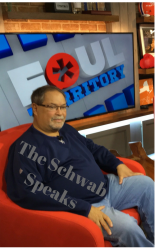 This week The Schwab Speaks on the past week’s NFL Divisional Series and this week’s upcoming Championship Series. He gives facts and figures that only the Schwab can. Plus, Fox Sports’ Bracketologist takes a hard look at the season so far and likes what he sees. His insights thus far may shape your bracket in March! Finally the Australian Open…is Venus over? This week The Schwab puts the National Championship Game in its place in history as ‘Bama comes from behind to win it all. Who is better the Bear or Saban? Plus more insight into who will be in those brackets come March, the NFL playoffs (the Chiefs demise! The Titans victory! ), the woes of the Atlanta Hawks…and even the politics of Olympic figure skating. The whole week of sports placed into perspective by the man who knows the whole history of sports. This week the Schwab speaks first about some of the things of interest to him: The Steelers’ touchdown that wasn’t, the Rams team that is, the amazing upset of UNC by Wofford, and of course, the Las Vegas Golden Knights. And then he and ESPN legend turned Dodgers’ Broadcasters discuss the World Series, the Rams and why Charley doesn’t watch the NFL anymore (a fellow broadcaster with CTE), what happened to Boxing and Derek Jeter and the Marlins. Happy Thanksgiving from The Schwab Speaks! This week, The Schwab has an old school ESPN feast as he catches up with his friend Chris Berman (starts at 4:00 on podcast). 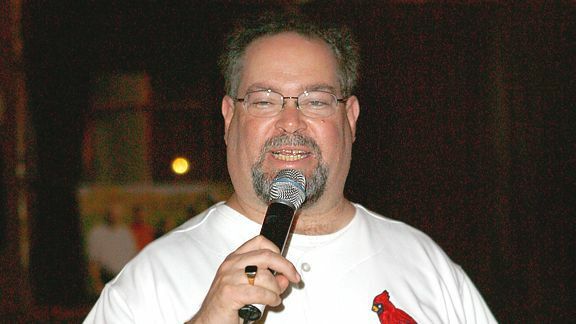 Boomer shares how he has spent his first non-NFL studio fall in a long time…helping coach the U Mass football at Tennessee, calling the MLB playoffs at Fenway, assisting in the coin toss of a Brown Dartmouth football game at Fenway, golf at Torrey Pines and more. Boomer also shares his thoughts on the NFL season so far, what he talked about with Warren Moon this past summer, the anthem situation and why football should be a unifier, last year’s Super Bowl comeback, and who might be in this one. Plus, the greatest upset that he ever reported on in the early days of ESPN …and it’s not in football. Listen, Share, Comment.